Welcome to our new website. Read more about our range of floor protection products below. Our clear self-adhesive temporary film is available in Standard & Heavy Duty micron and offers up to 45 days protection. Supplied on handy rolls, protect your carpets from damage caused by paint spills, dirt, stains, high foot traffic, heels and shoes & builders mess. The non-skid surface stays in place, eliminating creases and trip hazards (note: caution should still be used). The film can be applied by hand or with an applicator. Our carpet protector rolls are highly durable & puncture resistant, easy to apply and leaves behind no residue. Water based eco-friendly adhesive safe to use on carpets. Please note: not all carpet protection products are suitable for hard surfaces or 100% wool or oriental/silk carpets. RED SELF-ADHESIVE FILM. Up to 45 days protection. Supplied on handy rolls. Works as a general purpose barrier, protecting multiple surfaces from damage. Tiles, vinyl’s, lino, cabinets, hardware, countertops, marble, glass, metals and most textured surfaces, hand and factory finished hardwoods. 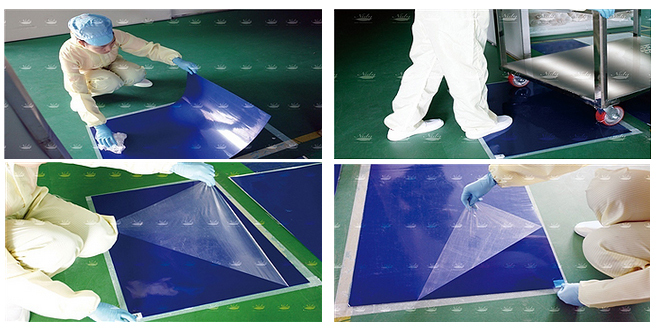 Blue, self-adhesive film with up to 45 days' protection. Supplied on handy rolls, the film can be applied to both glass and aluminium contour window frames. Highly durable & puncture resistant, easy to apply and leaves behind no residue. Water based, earth-friendly adhesive. Buy window and glass protection here. Unlike most hard floor protection products, Ram Board temporary hard floor protection is vapour permeable and can be used as soon as the floor has been laid, thanks to the breathable layer. As it can be applied straight away and then left, there’s no waiting around for the floor to cure before other works can be completed. Made from 100% recycled materials, Ram Board is wholly environmentally friendly and has won awards in testament to this fact. It is made from cardboard, paper, ply-fibres and reinforcers. As the number one floor protection product in America, it is the preferred brand of many architectural firms, several of whom have named RamBoard in their project specs for by huge brands including Wal-Mart. Buy Ram Board here. Felt topside with a white anti-abrasive non-woven layer that will not break up and is easy to sweep clean. Self-adhesive green polythene backing sticks tight & safe until removed, eco-friendly adhesive safe to use on hard floors. hard wood protection 1.5mm thick, anti-slip, re-useable rolls. Topside absorbs spillages like a sponge, polythene backing prevents fluids penetrating. Environment-friendly product. Buy premium hard floor protection here. Felt topside, polythene backing. 1mm thick, anti-slip, re-useable rolls. Topside absorbs spillages like a sponge, polythene backing prevents fluids penetrating. Environment-friendly product. Nonwoven synthetic fibres for all kinds of floors. 1.3mm thick, very light but extremely strong – will not disintegrate. Topside with polyethylene sheet acts as an impermeable barrier against liquids, rear side has a slip-resistant coating that grips the floor. Environment-friendly product. Available in packs of 30 or 150 disposable polyethylene film layers/sheets, in the following size 90cm X 60cm. Comprised of 30 layers od adhesive-coated film that effectively removes dirt from shoes, equipment wheels and even pet paws before they enter a controlled environment. Buy Tackymats here. Elasticated top overshoe with seamless covers to protect carpets and hard floors when working indoors. 100% Polyethylene material. Multi-fit size for all shoes. Sold in packs of 50 Pairs. Buy disposable overshoes here. Correx Fluted Plastic Sheets. In some environments, a self-adhesive solution is not suitable, due to the floors being delicate/valuable or very old, for example. Widely used in construction, building & professional or DIY refurb projects, these plastic protection sheets are an extremely cost effective alternative to more traditional materials, such as cardboard or plywood. Buy Correx sheeting here.